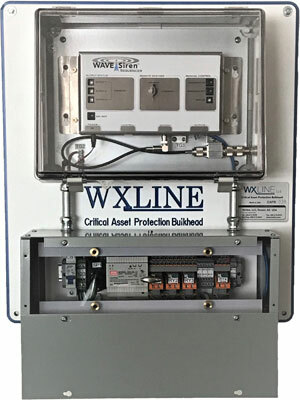 The Critical Asset Protection Bulkhead (CAPB) provides automated, active lightning protection by the electrical isolation of industrial control systems and central-stations. 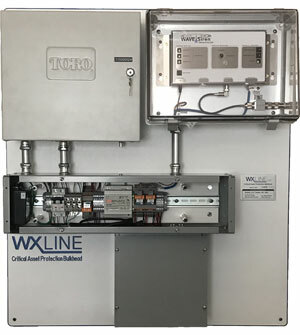 selective shutdown - disconnects power conductors via three independent circuits with programmable-delays to provide the ultimate defense against over-voltages, electrical overstress and lightning surge currents in a lightning environment. The CAPB is intended for use as the indoor or secondary lightning protection bulkhead installed at the equipment-to-be-protected and must be used in conjunction with proper external or outdoor (primary) lightning protection. ENCLOSURE: NEMA 4 molded fiberglass. BATTERY: User-replaceable lead-acid batteries. Low-battery indicator. COMMUNICATION: 10 W, 27.255 MHz, DIP switch address programming. CONTROL INPUT: Contact-closure signaling. CAT 5 interface cable. 50/60 Hz. UL, VDE, FCC, CSA, CE. 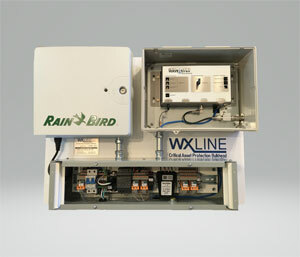 RANGE: Three mile radius, longer range with available high-gain antenna. ANTENNA: Standard 3 ft monopole antenna, 50 ft coaxial cable.